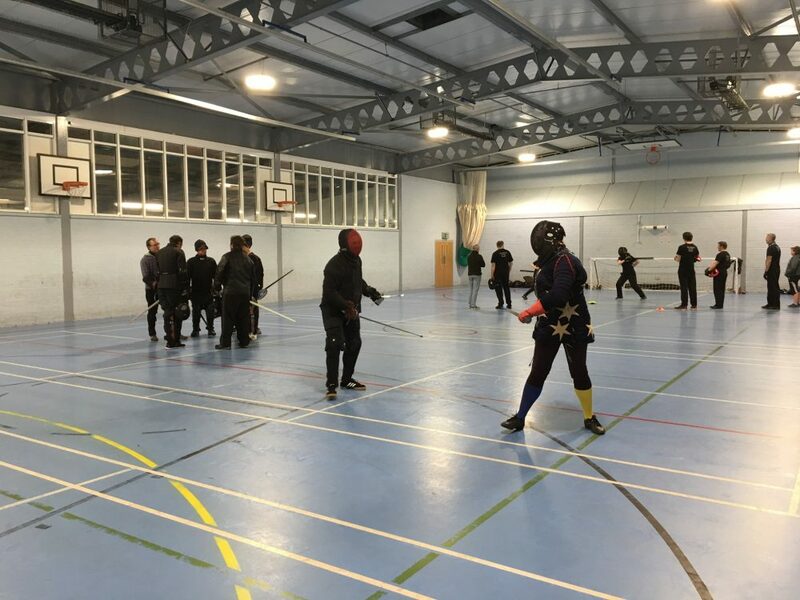 Students gathered in Godalming on Wednesday for our regular weekly training session. 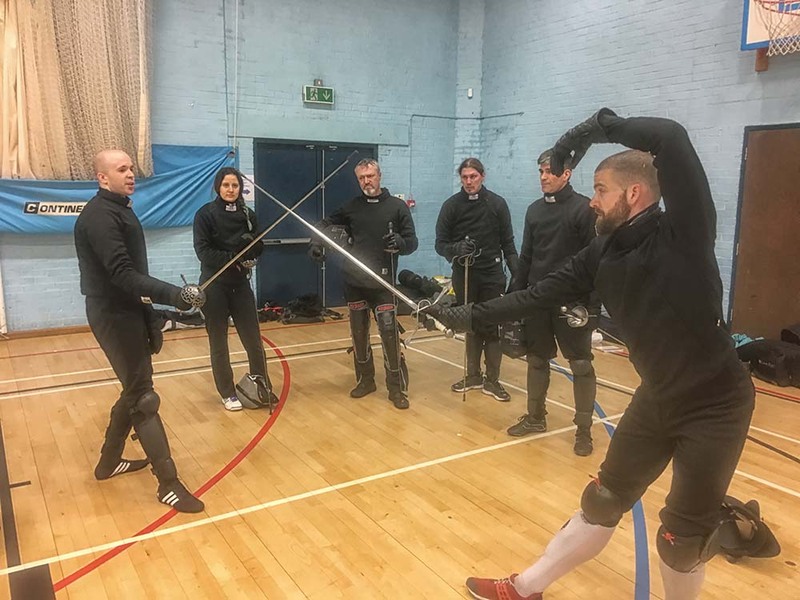 Sasha worked with the single rapier group. 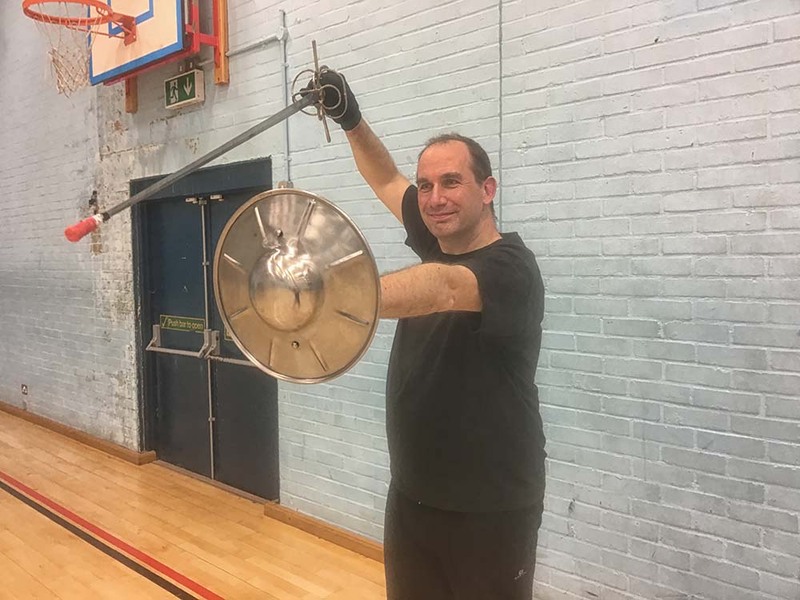 Adrian taught Bolognese sword & buckler and Fran worked with the beginners working towards their safety test. 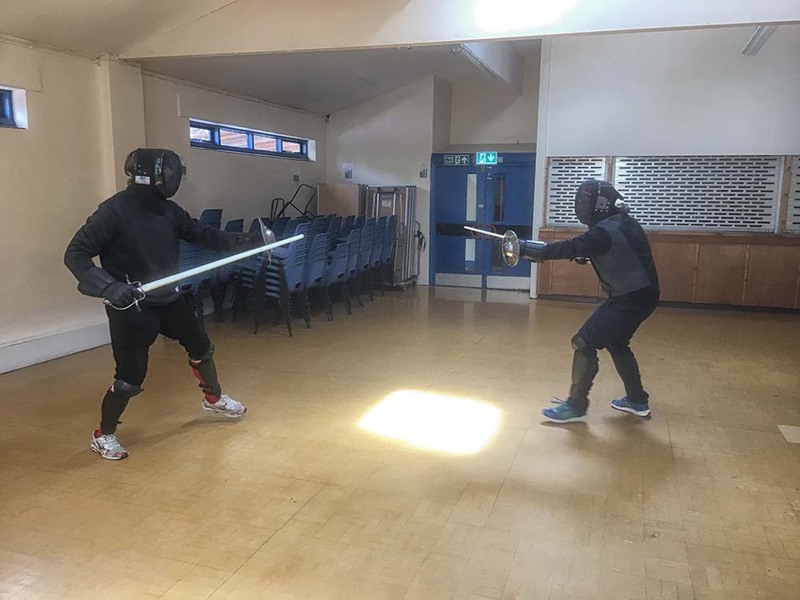 Paul is the latest of our students to pass his safety test and join the ranks of our Studenti. 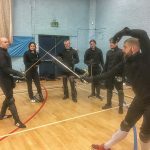 Paul will now be able to progress to taking part in many of our other training streams as well as full sparring. 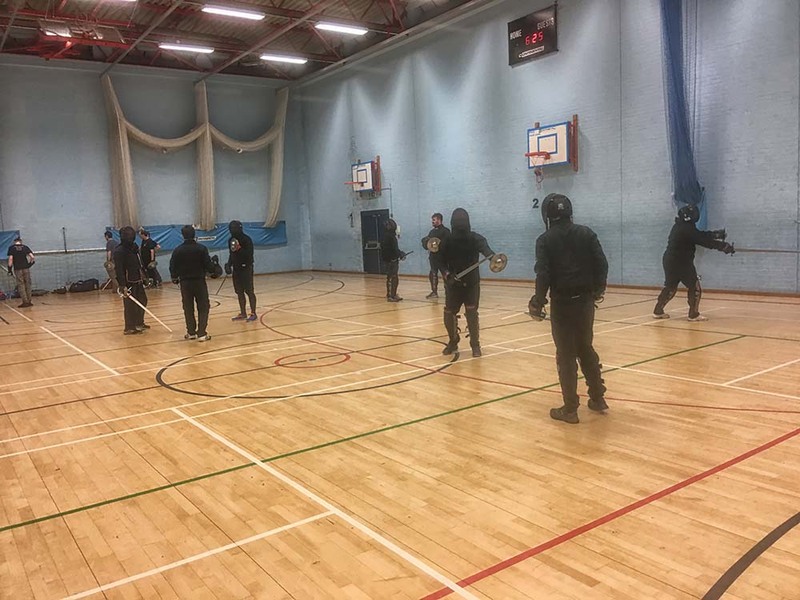 After a bank holiday last week our Reading students were back on Monday for our regular training session. 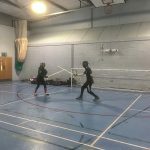 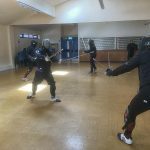 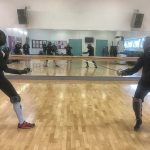 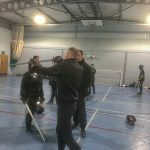 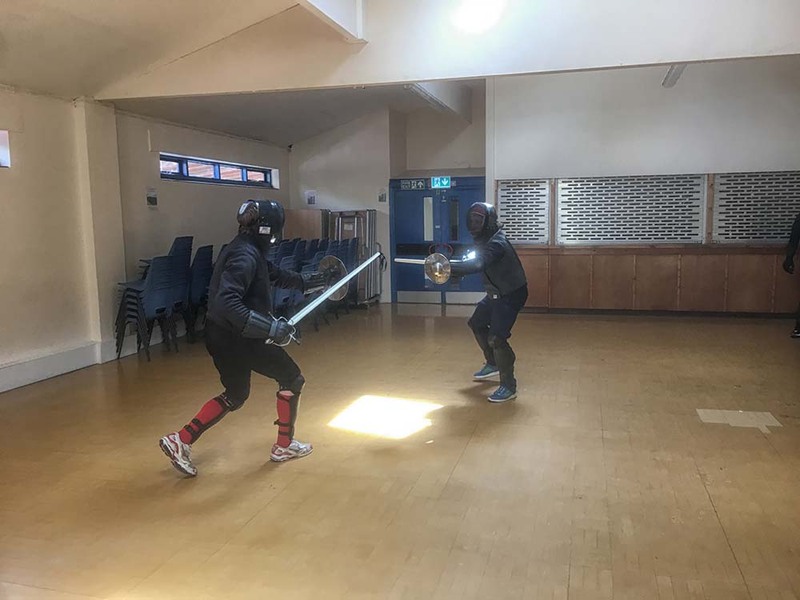 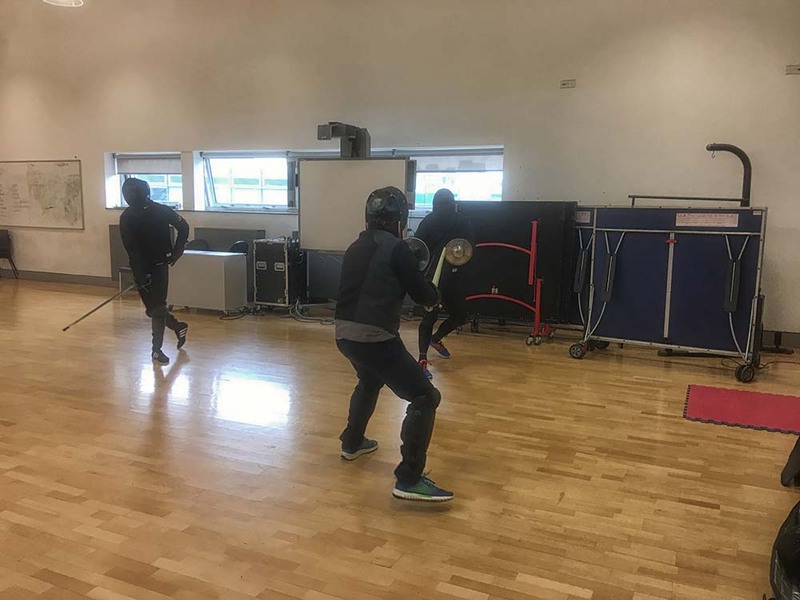 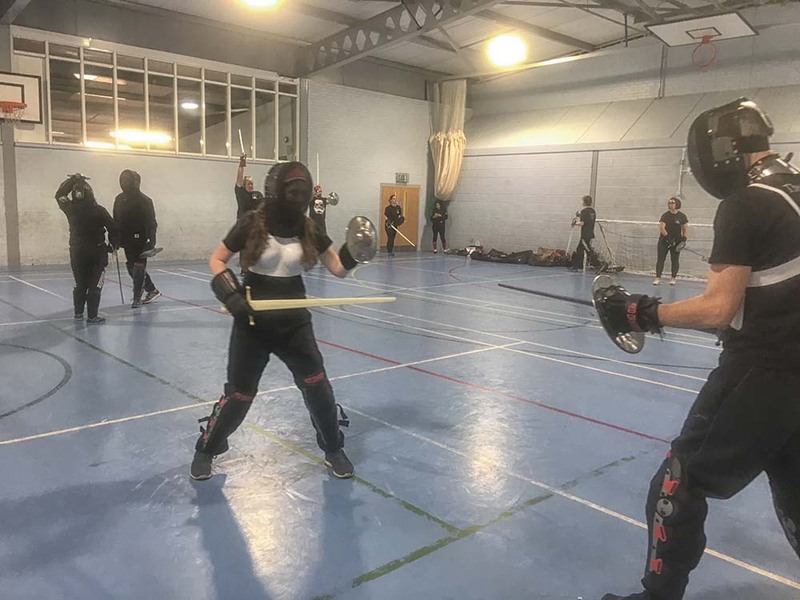 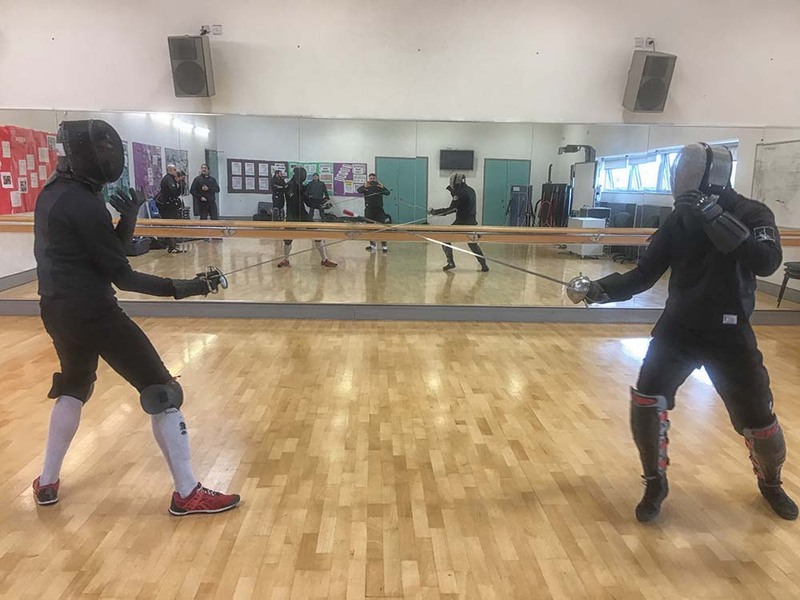 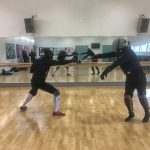 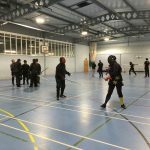 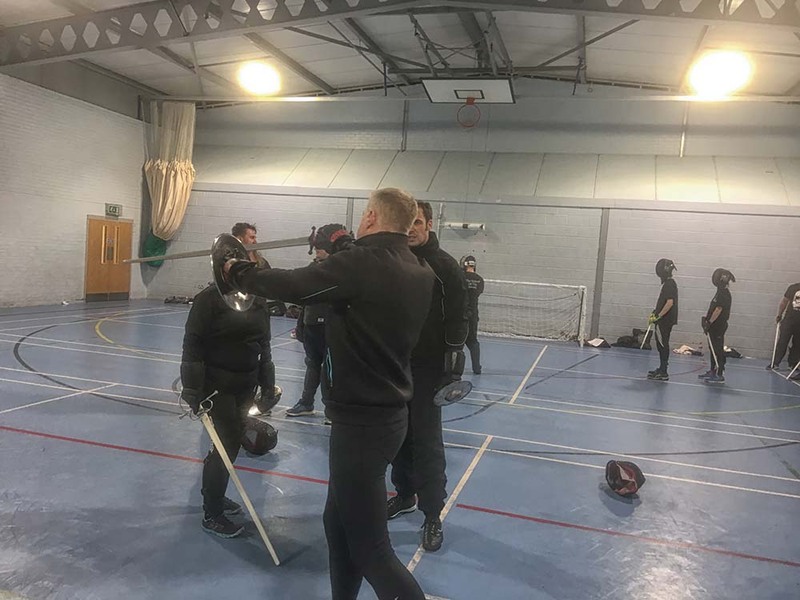 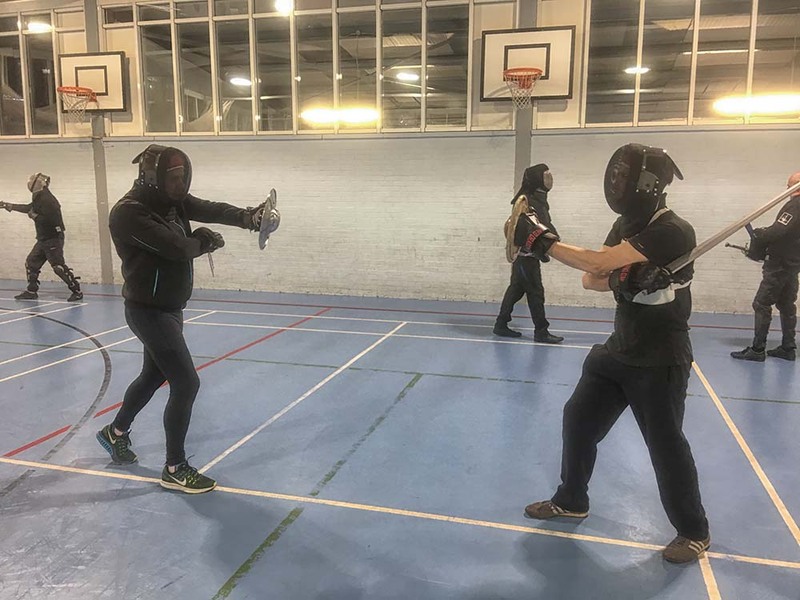 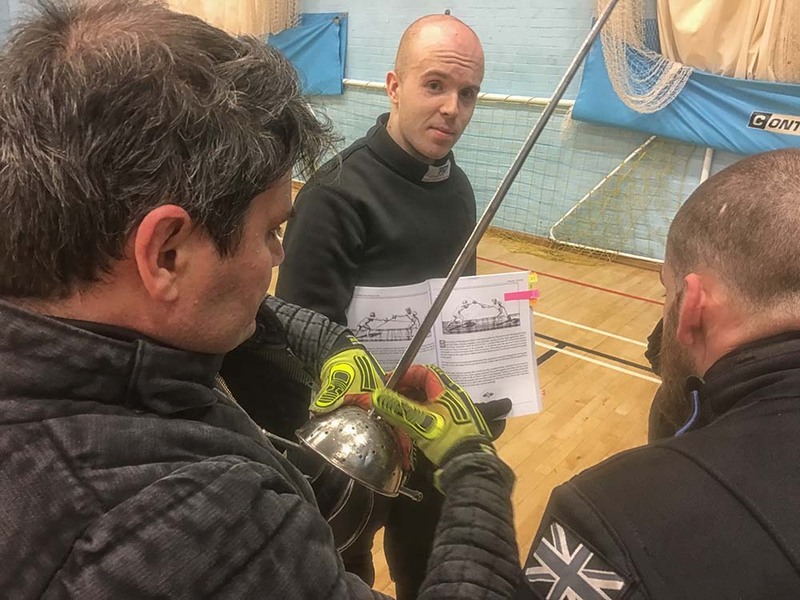 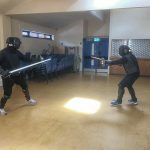 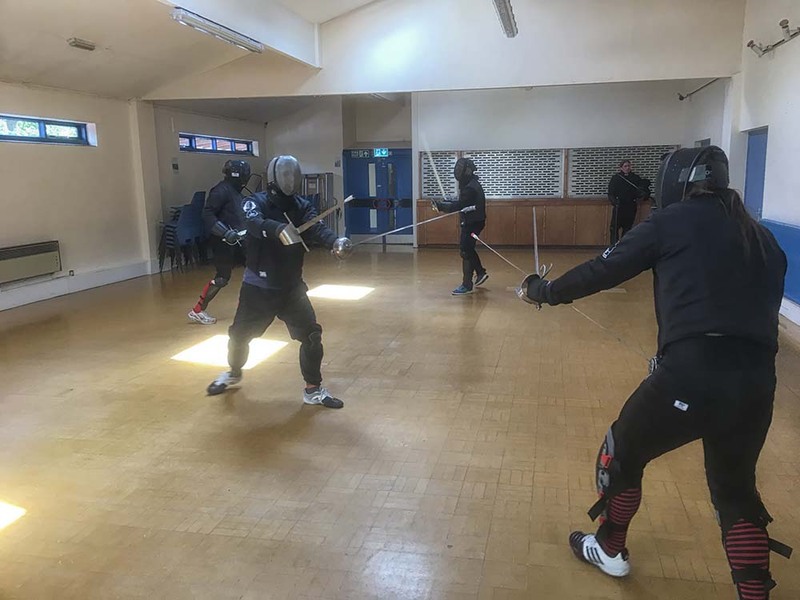 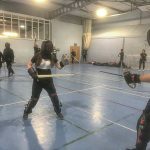 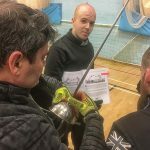 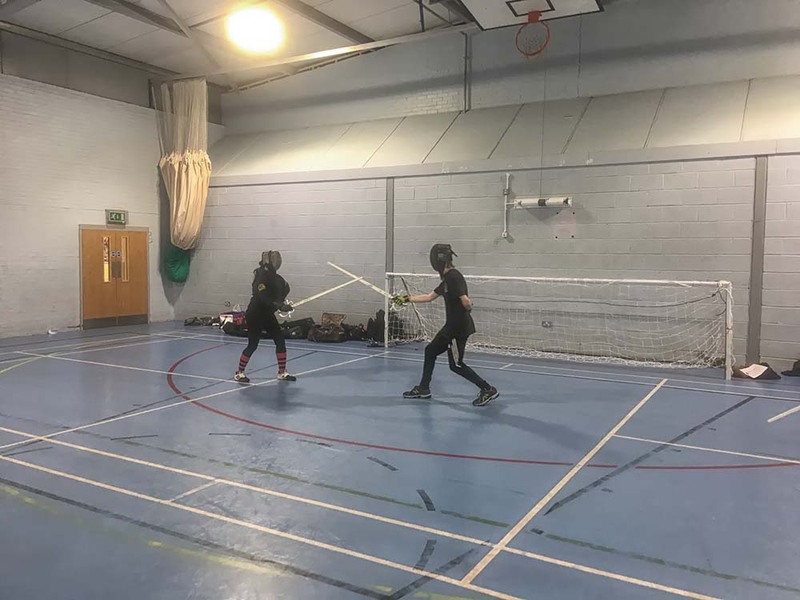 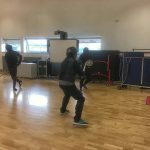 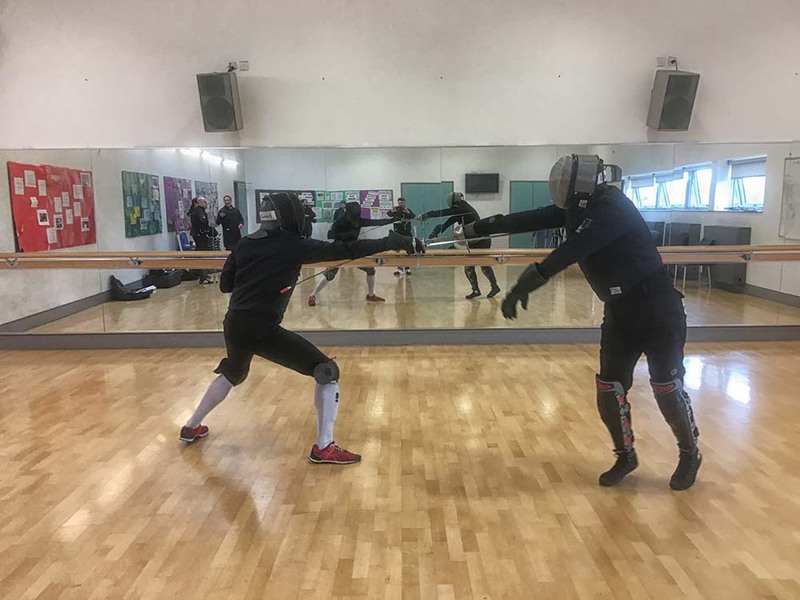 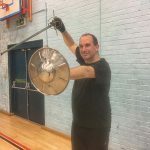 Dan took the single rapier group through some Fabris, Pim taught sword & buckler and Matt worked with the beginners progressing towards their safety tests. 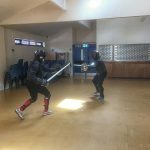 Sunday Sparring was in Hawley this week with students from both our Reading & Godalming groups meeting up. 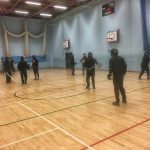 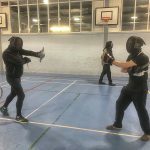 The sparring provides an ideal opportunity for students to fight people they don’t normally fight as well as put into practise techniques they have learnt during training. 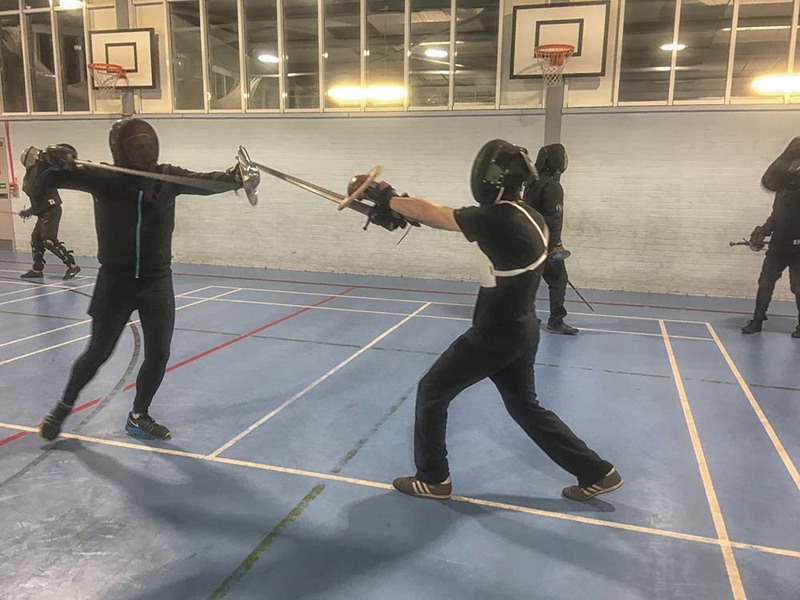 Students gathered in Godalming last Wednesday for the latest in our weekly training sessions. 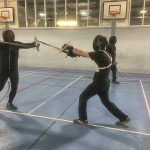 Sasha worked on single rapier, Adrian taught the Bolognese group and Fran worked with the beginners progressing towards their safety test. 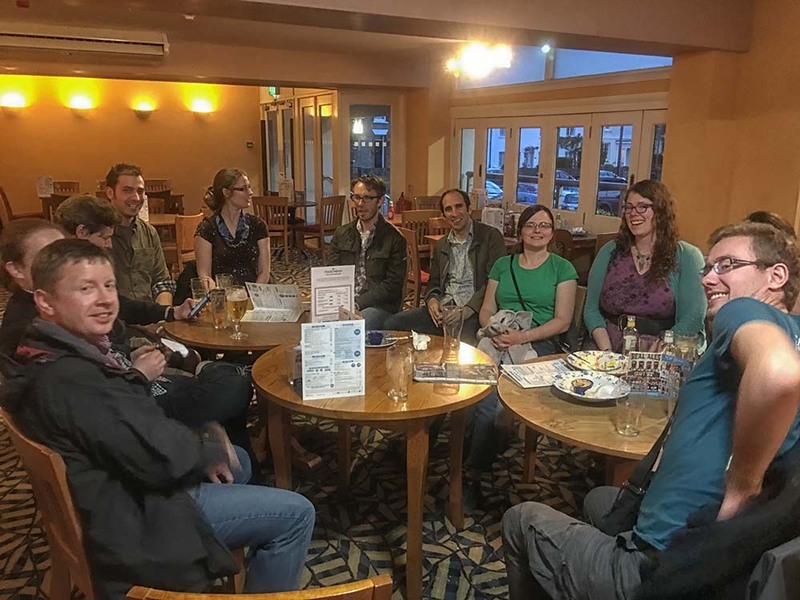 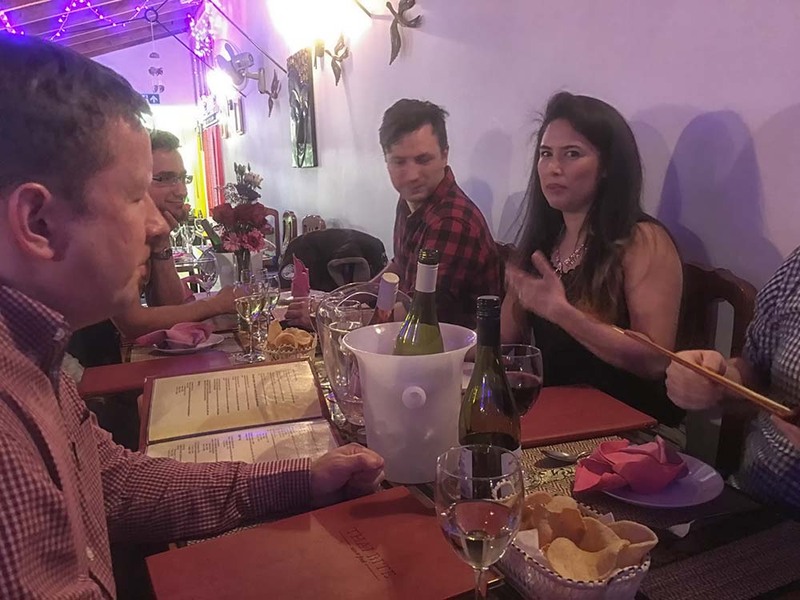 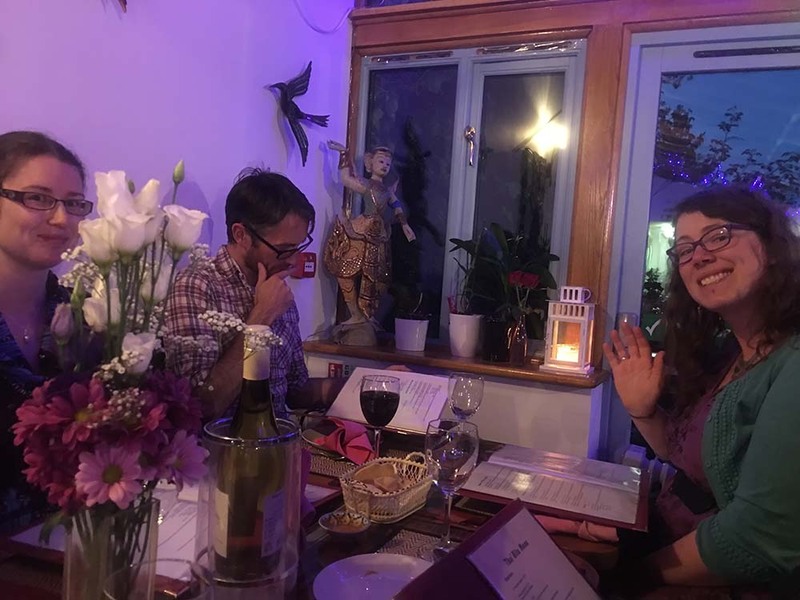 Our Godalming students all met up last Saturday night for a social. 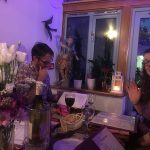 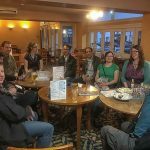 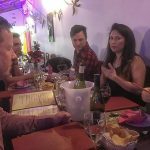 We met in the pub for drinks before moving onto a local Thai restaurant for food and sword talk. 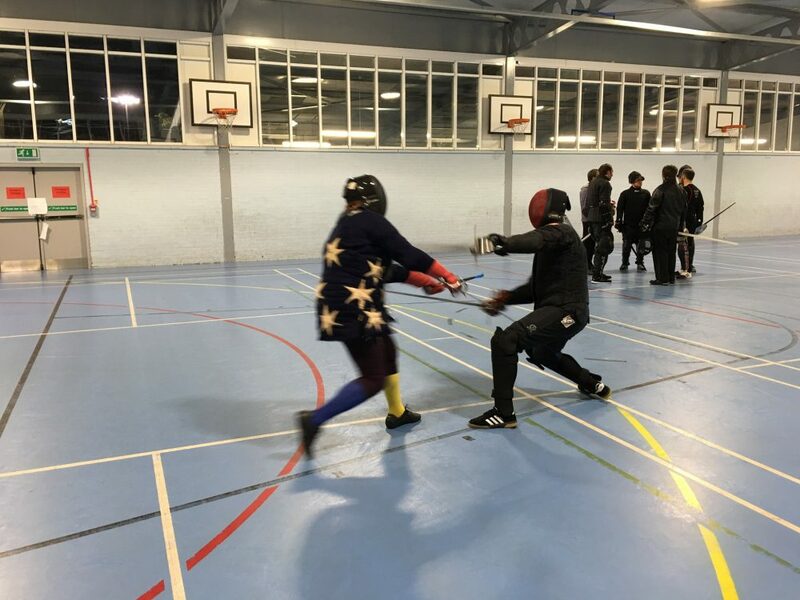 It was a fun night in Godalming last Wednesday with an evening of sparring and tournaments. 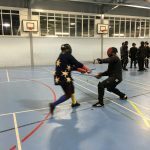 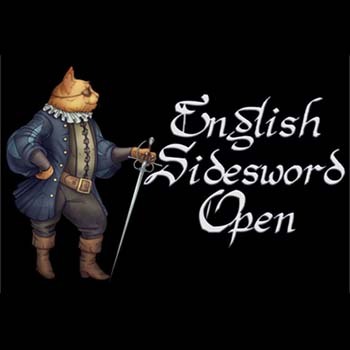 Aside from free sparring, we ran a fun sword & buckler tournament for our studenti and a foam boffer tournament for the beginners.